An Alloy, CNC and Classic Drive pressure gauge. 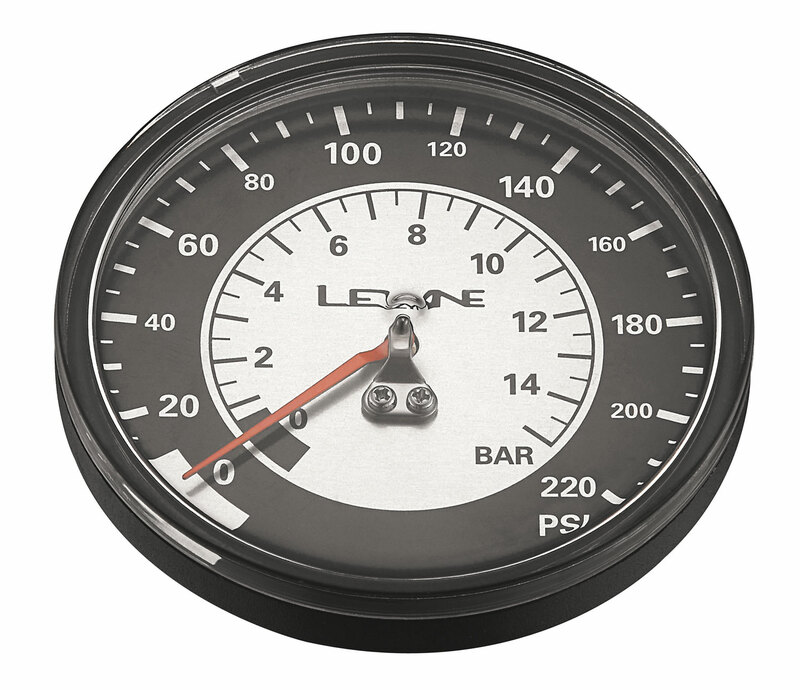 220 PSI replacement analog pressure gauge for 2014 and later models of Alloy, CNC, and Classic pumps, includes glue and o-ring. Highly precise with an oversized 3.5 inch face, this new gauge increases visibility and thanks to new internals it allows the user to read a more precise measurement of low and high pressure tires. Included on our CNC, Alloy, and Classic floor drives.